From Magdala we traveled further north along the eastern side of the Sea of Galilee. A few km up the road is Tabgha. 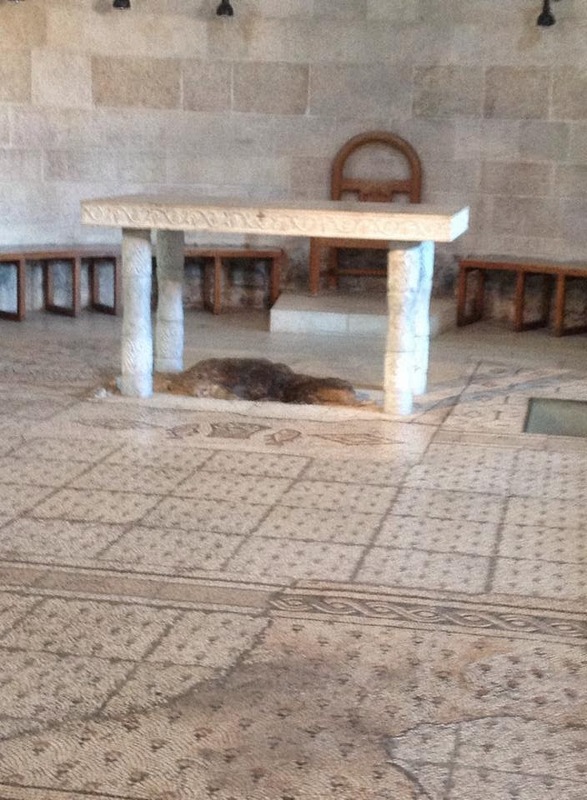 It is not mentioned in the NT, yet it is considered the place where Jesus fed the 5000+. There is a nice rock in the church that supposedly was the site of the event (right). 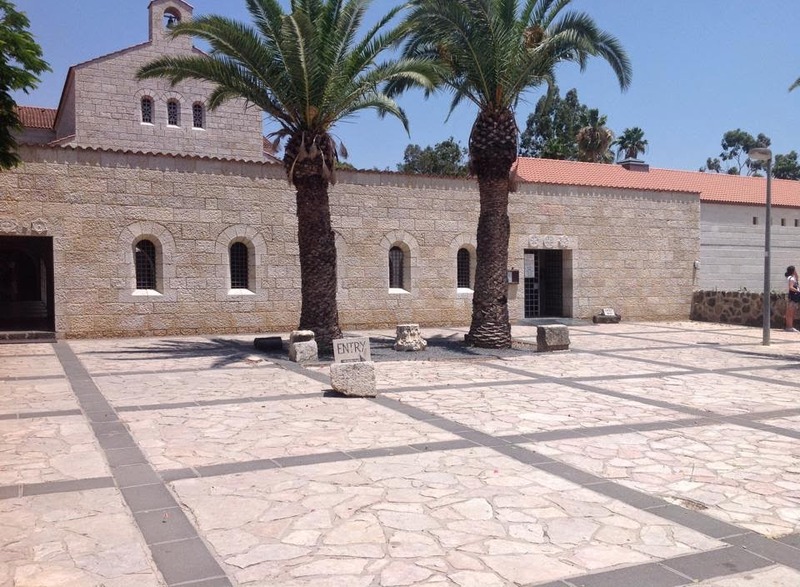 I was instantly suspicious, as Luke records this occurred at Bethsaida (Luke 9:10), which is past Capernaum further up the lake (that said, it is not that far and it could work??). There is a nice church (left) there, but I couldn’t take it too seriously. Then we stopped at the Church of the Primacy (right). It is said that here on the rock (left, and above), Jesus reaffirmed to Peter his call to him to be the rock of the church, i.e. the first pope. 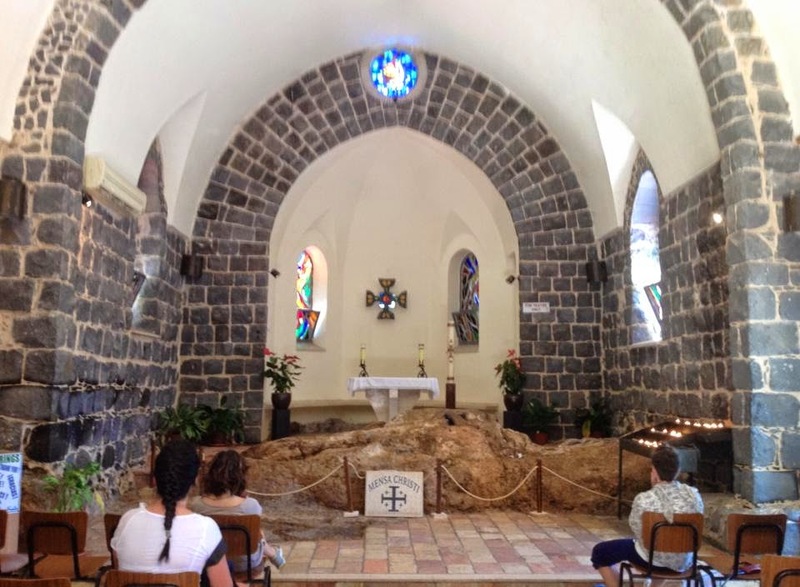 The text which Peter’s call to be the rock is based upon is in Matt 16 after the confession, which is sited around 60km north at Caesarea Philippi. The text cited at the Church of the Primacy is John 21, where Jesus had breakfast on the Shore with seven disciples after his resurrection. The problem is that there is no affirmation of Peter’s rock or papal status in this passage; rather, Peter is called “feed my sheep/lambs.” That is hardly a basis for the claim. Still, it may be the place they ate breakfast together. 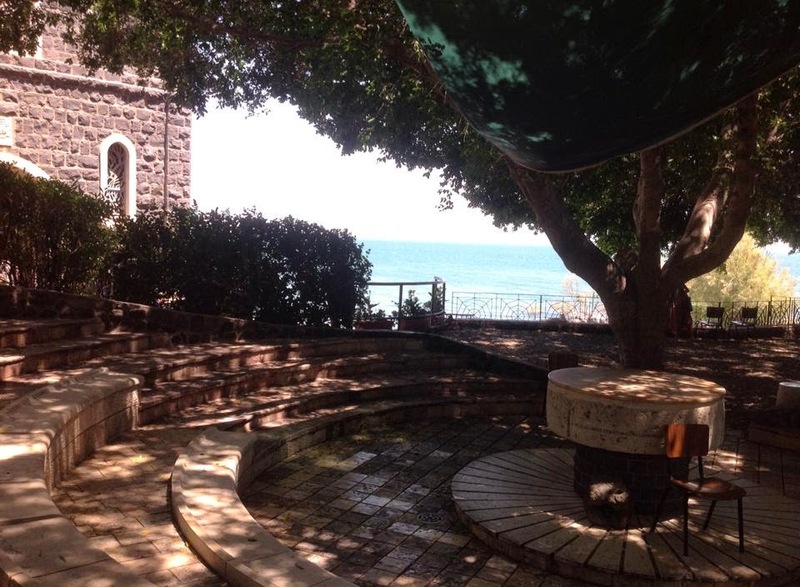 Mind you, just about any point around the Sea of Galilee will work for that! 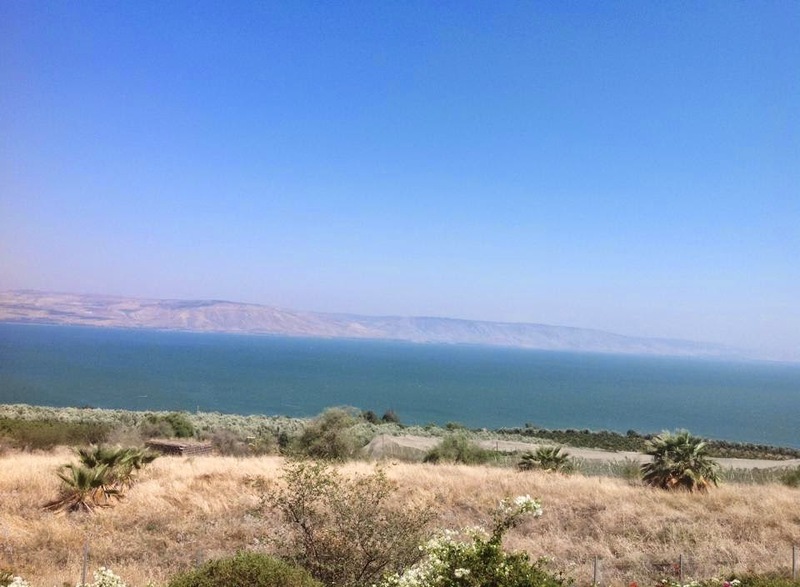 Still, it was a lovely site on the Sea of Galilee (right). 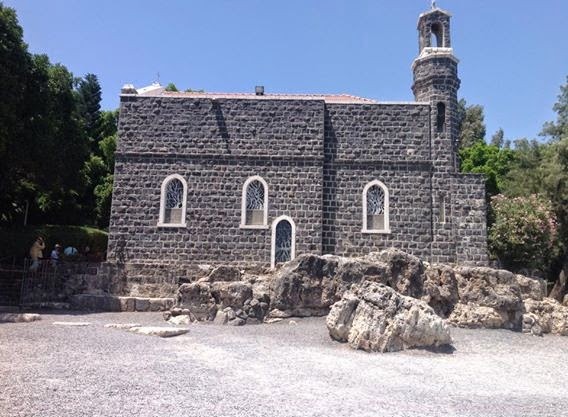 Then, we headed up the hill from Tabgha and the Church of the Primacy to the Church of the Beatitudes which overlooks the Sea of Galilee. What a lovely site! It is beautiful. The views are stunning. It is here that Jesus purportedly preached the Sermon on the Mount (Matt 5-7, cf. Luke 6). The site makes good sense for that, there is plenty of room for people to listen to Jesus preach. The problem is that most scholars don’t hold that Jesus preached a sermon in this particular form; rather, Matthew and Luke draw together Jesus’ ethical teaching for teaching purposes and as a typical sermon. In other words, it is not necessary to find a particular space for the Beatitudes sermon. In fact, it is likely Jesus travelled all over Galilee and Israel preaching the Beatitudes, parables, and other ethical teachings. 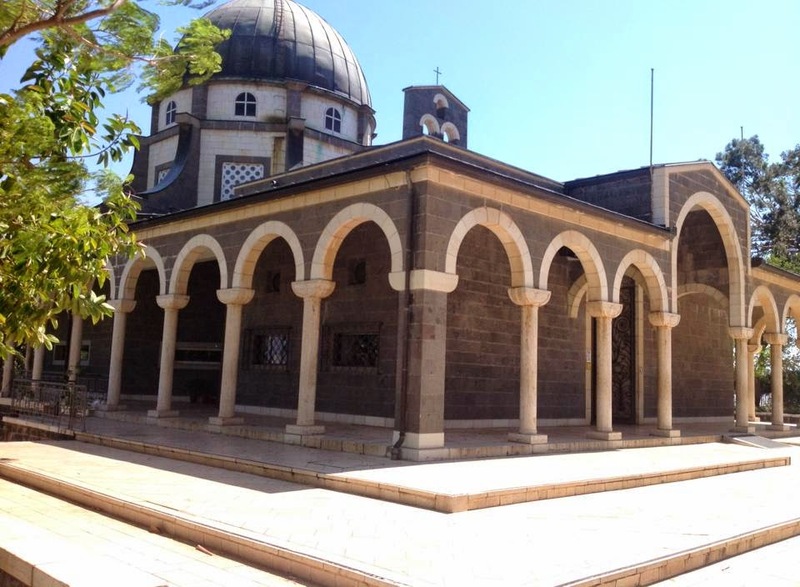 Even though historically these sites are dubious, they are a must-see for a pilgrim; particularly the Beatitude Church. They cause us to reflect deeply on Christ as preacher and teacher. They remind us of different traditions of interpretation. They cause us to consider the miracles of Jesus, his call, and his teaching. 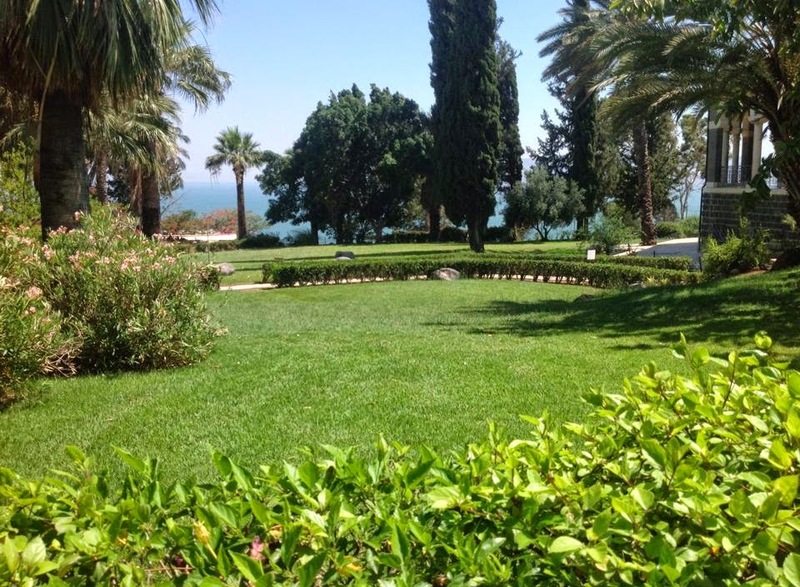 And, from the Beatitudes, the views are stunning (below).